Follow ENSO on the web! Looking for more information on how ENSO products can help your company meet its environmental packging goals? 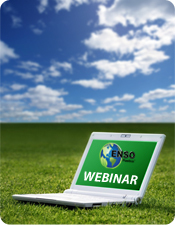 Are you interested in how ENSO works and compares to other products? Then this FREE webinar is for you. Sign up today before the slots fill up. ENSO RENEW RTP can replace up to 100% of your products petroleum based plastic, with a natural, biodegradable, healthy and economical alternative. 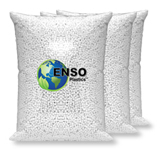 ENSO RENEW RTP is a renewable thermoplastic used as polymer replacements and/or fillers developed with performance, biodegradability and economic value in mind. RENEW RTP is not made from petroleum based materials, but instead is created from the processing waste of agricultural products such as potatoes. ENSO RENEW RTP can replace petroleum based polymers in many applications and has the versatility to also be combined with standard plastics when strict performance parameters are required. ENSO RENEW is rapidly biodegradable in compost, marine and other waste environments and offers a simple and effective solution to an enormous environmental challenge. In fact, film made with ENSO RENEW has shown to biodegrade in 10 days within composting environments! Use at 100%: ENSO RENEW can be used at 100% for specific applications utilizing shorter shelf life requirements and where humidity and liquid contact is not of concern. RENEW RTP is an ideal environmental value when used as a stand-alone polymer. Blend up to 70% with your current polymer: For more stringent applications requiring specific performance, ENSO RENEW RTP is an ideal solution to replace a portion of your current petroleum based plastic. ENSO RESTORE’s leading edge technology accelerates the natural biodegradation of plastics, rubbers and other materials, offering a simple and effective solution to an enormous environmental challenge. Using as little as 1% ENSO RESTORE, your final product will be biodegradable for just a fraction of its manufacturing cost. Available in pellet, powder and liquid forms, RESTORE is a drop-in technology. integrating seamlessly into existing manufacturing methods, making expensive infrastructure changes unnecessary. It is a viable solution for companies of all sizes. ENSO RESTORE is used in a variety of applications worldwide – from bags and bottles to packaging and durable goods, it is trusted by hundreds of brand owners to provide a solid end-of-life solution. ENSO RESTORE can be used at varied load rates to achieve your desired rate of biodegradation. Load rates of 1% will produce plastics with the controlled biodegradation needed for the ideal utilization of landfill gas to produce clean, inexpensive energy and extend the useful life of landfills. With ENSO RESTORE, biodegradation occurs only when placed in a waste environment by microorganisms naturally occurring in the landfill. The end products resulting from the biodegradation process are natural materials such as inert humus, methane and CO2. Products made with ENSO RESTORE maintain the same physical characteristics as traditional plastic. 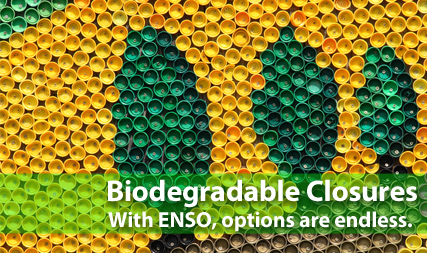 ENSO RESTORE accelerates the biodegradation of your plastics in waste environments through naturally occurring microbial activity, and are not affected by light, heat, moisture, UV rays or oxygen. ENSO RESTORE product family includes multiple blends applicable to most common manufacturing processes and resin types including PET, HDPE, LDPE, PE, PP, EVA, PS, nitrile, rubber and latex. ENSO also offers customized blends for unique applications.